I ran across a neat website recently, www.laylagrayce.com Though it has some fabulous items (especially digging on the Amy Butler rugs - yum! ), the prices can be a bit, should I say, out of my reach (?). 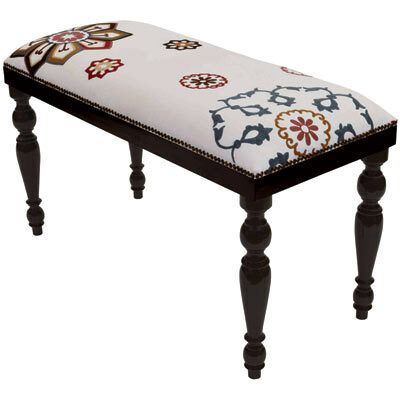 For instance, this lovely little bench below, though adorable, carries a hefty price tag of $850! Yikes!